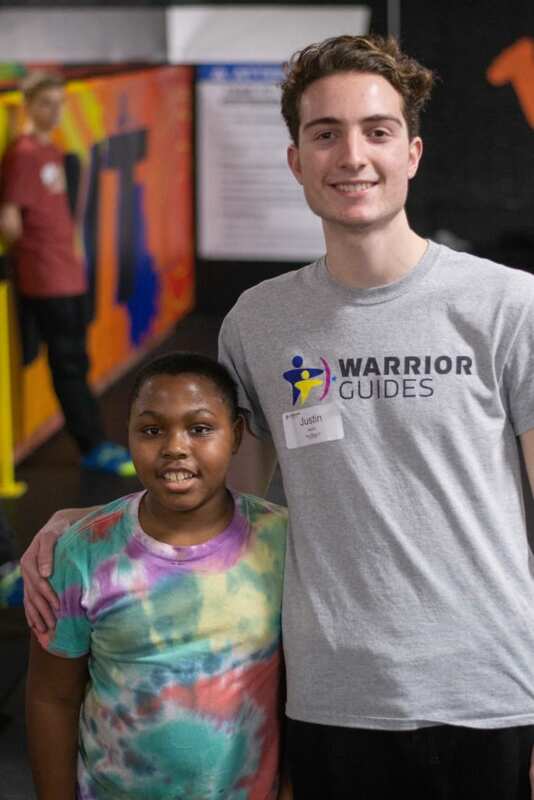 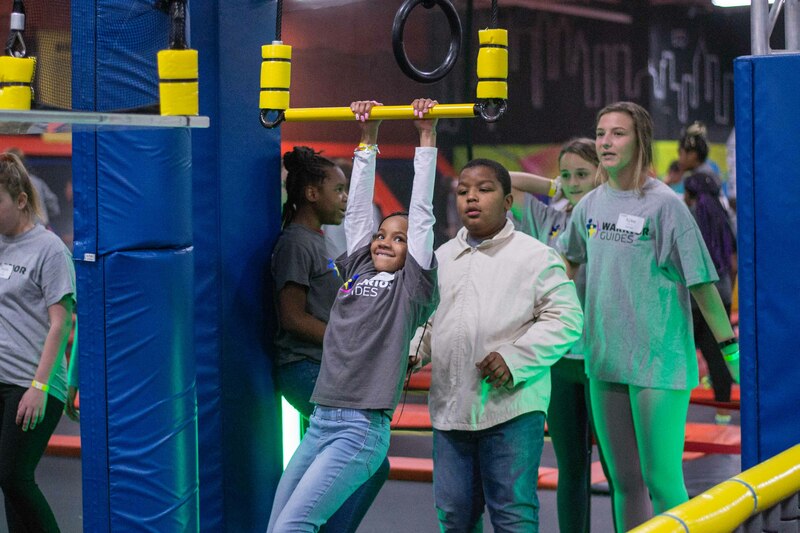 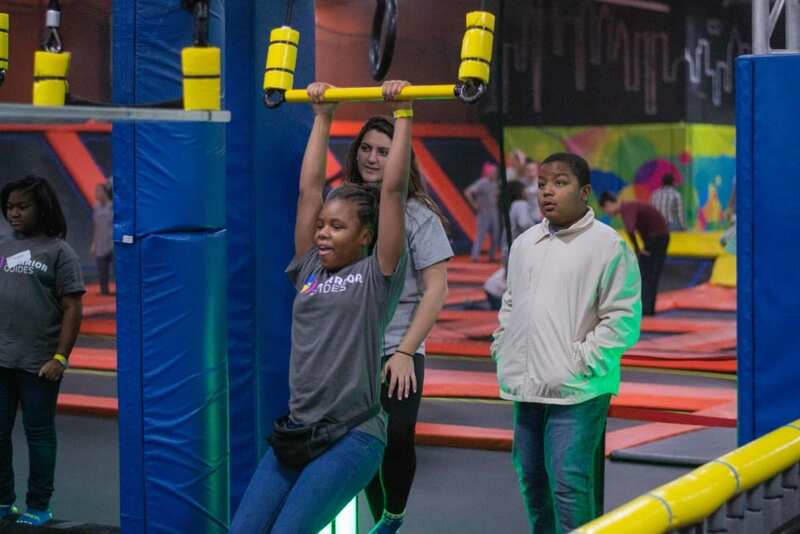 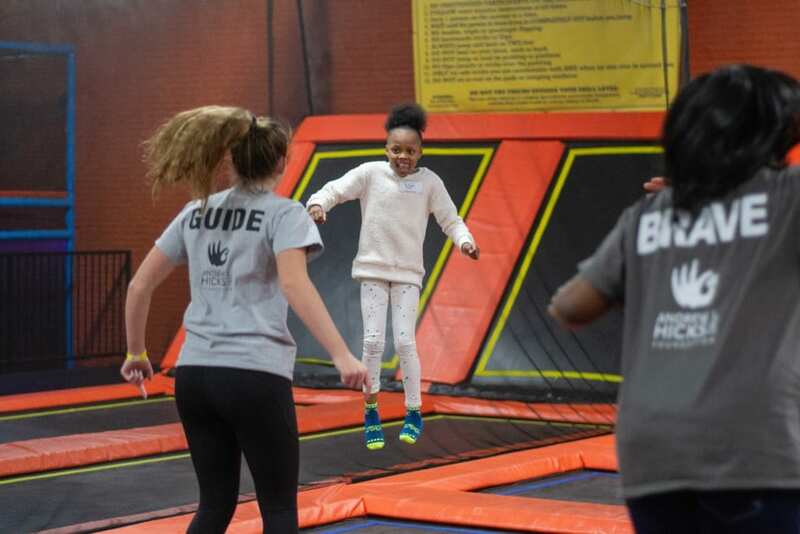 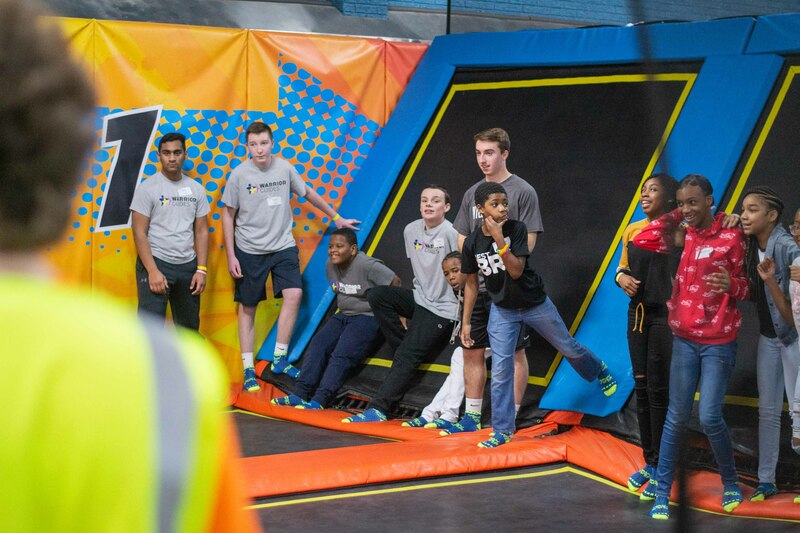 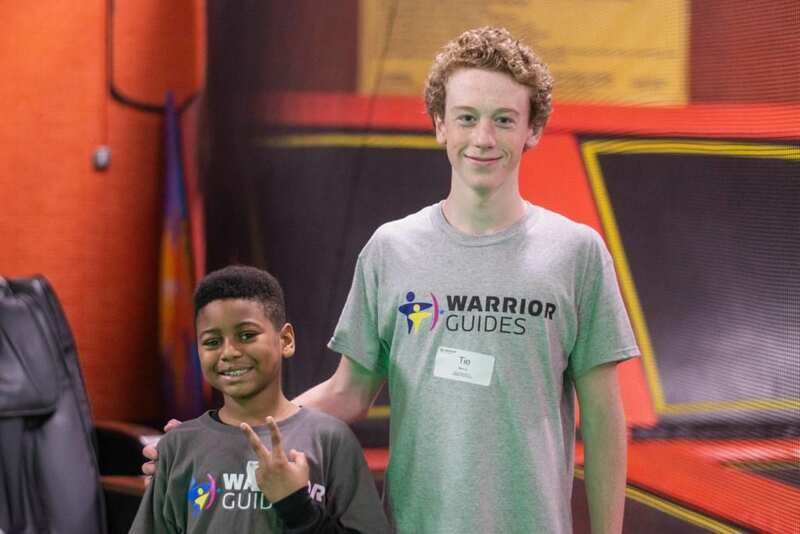 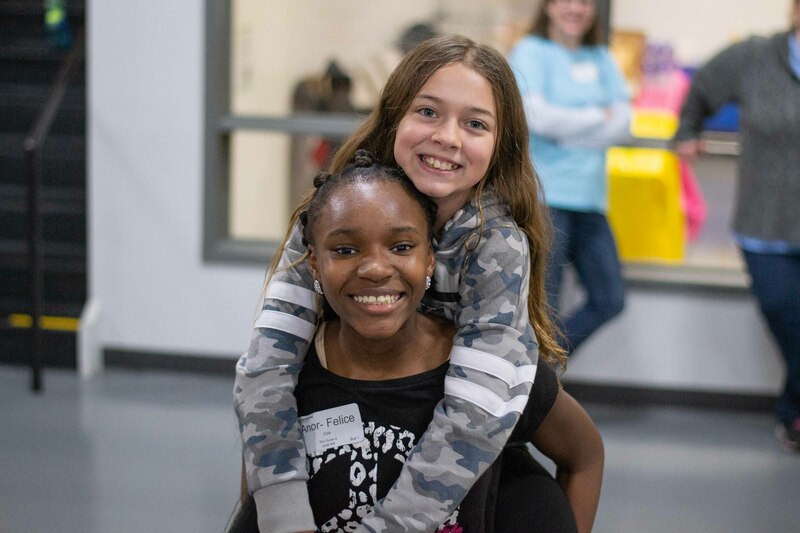 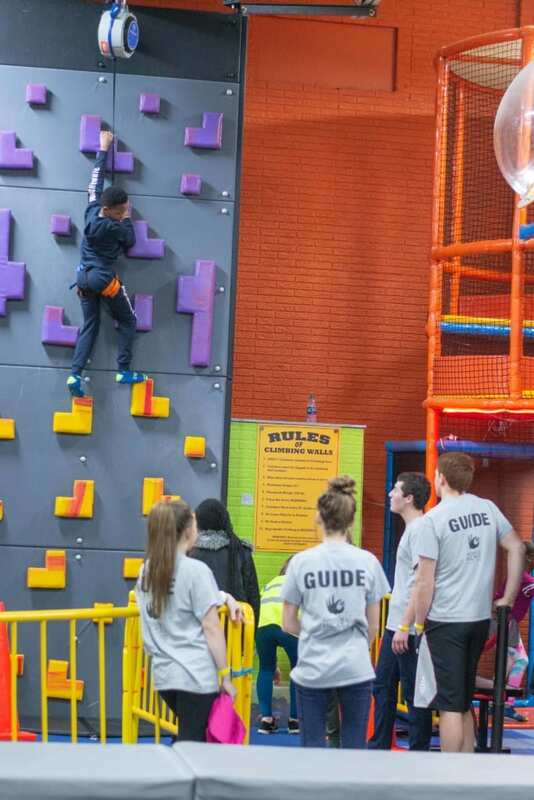 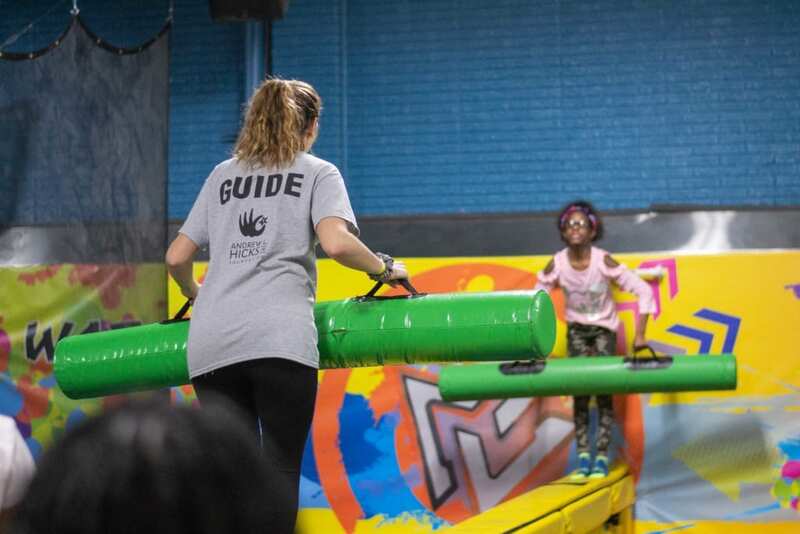 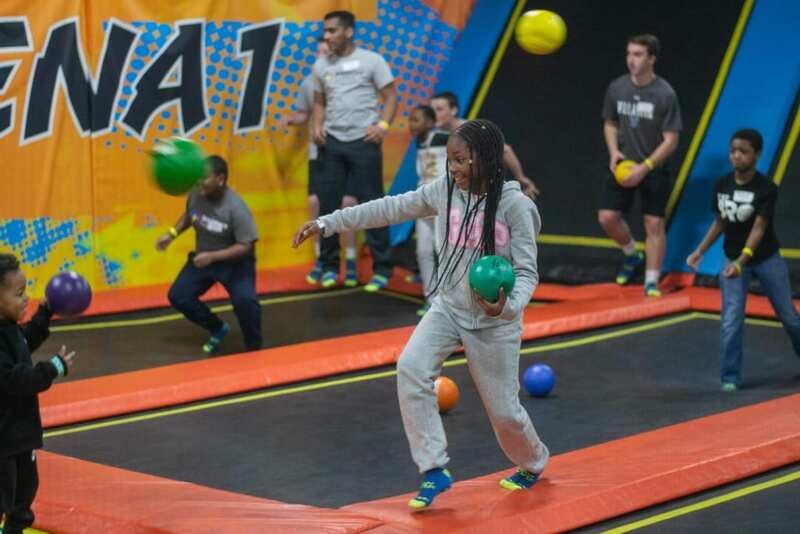 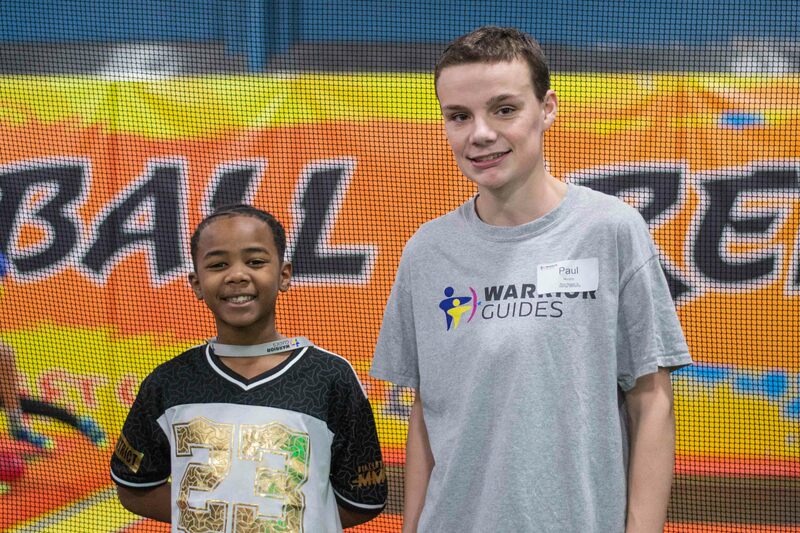 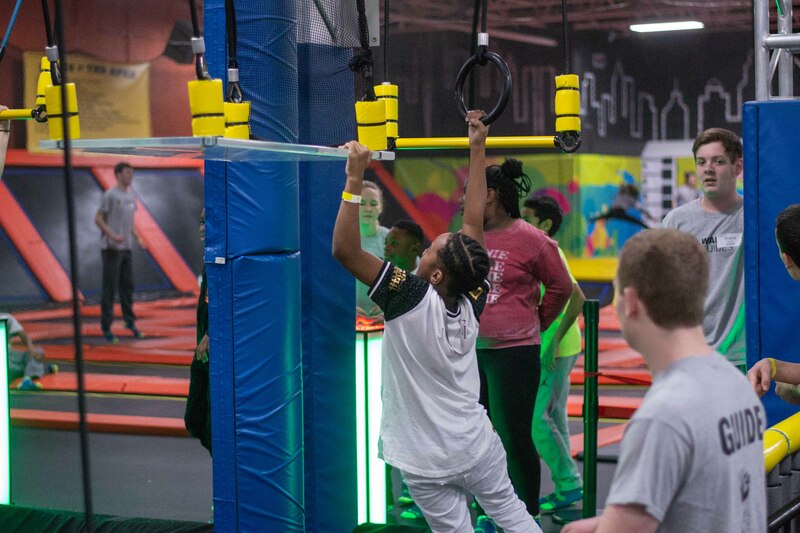 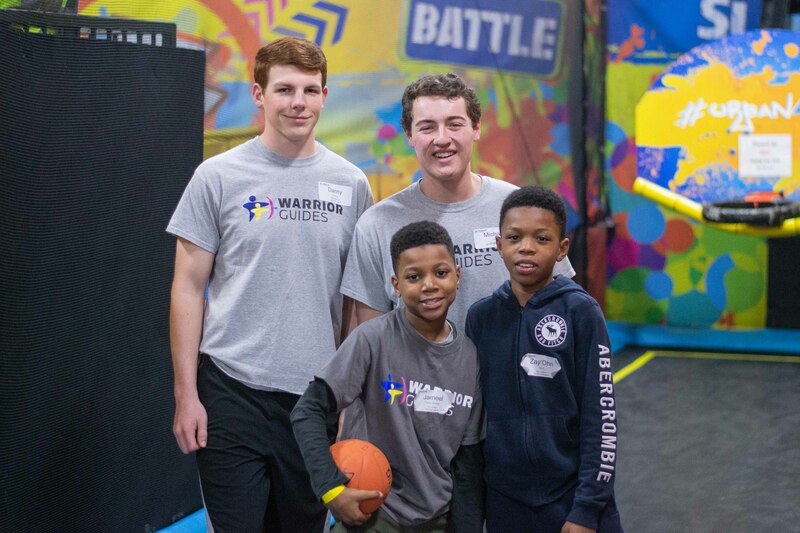 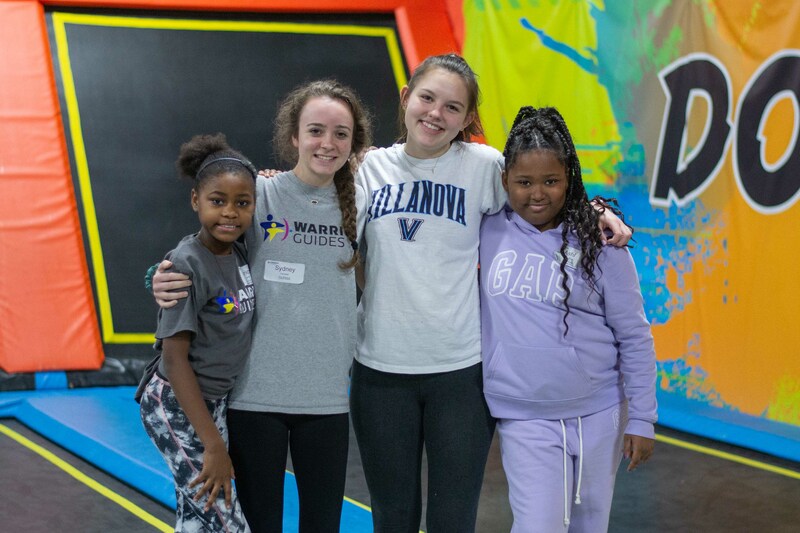 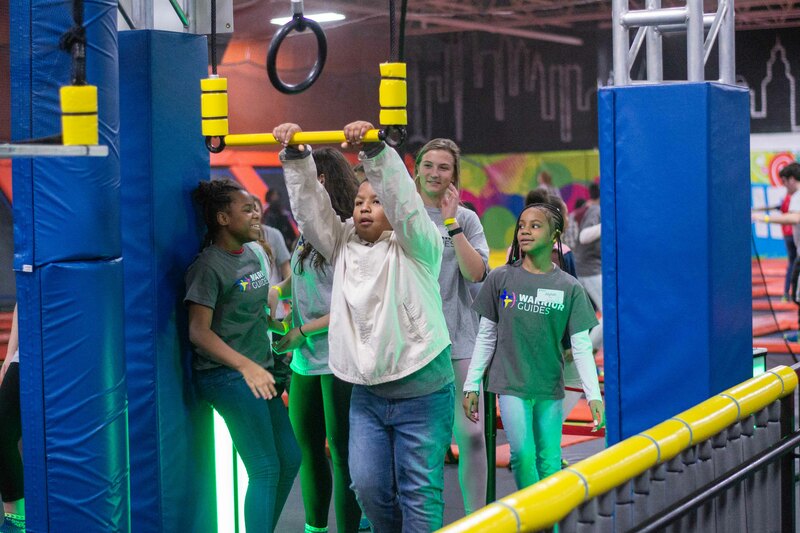 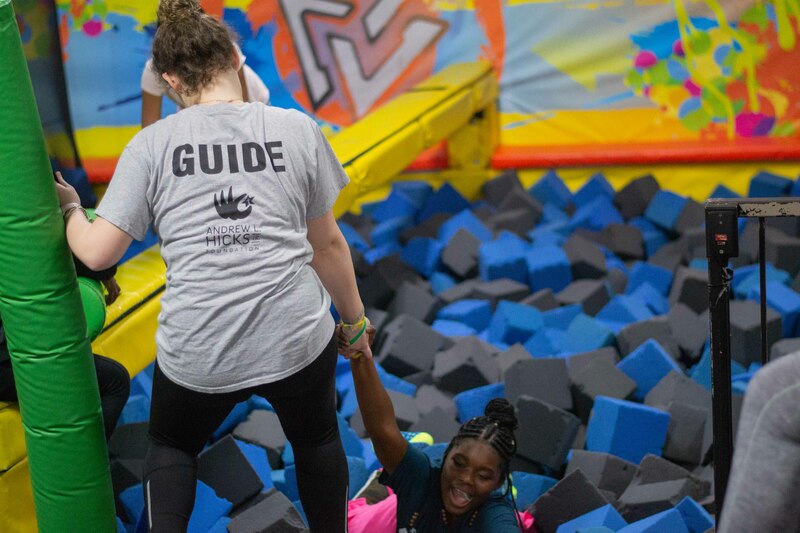 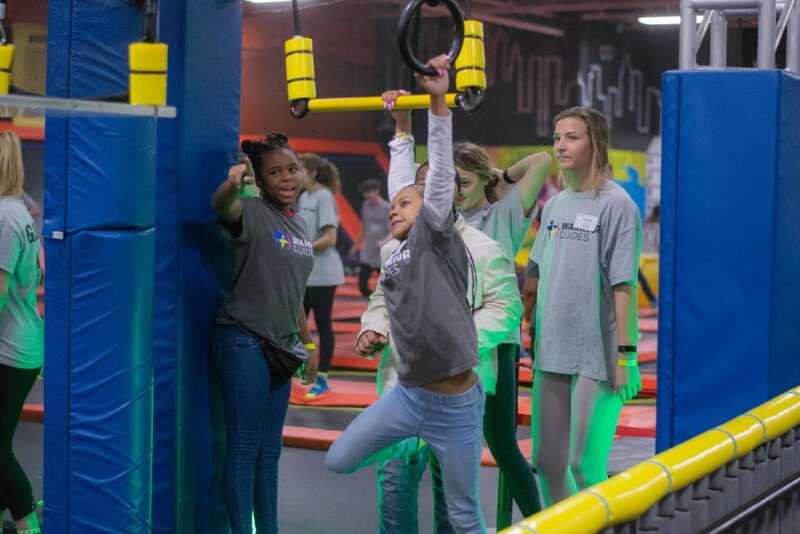 On Sunday January 6, Warrior Guides kicked off 2019 with a trip to Urban Air in Downingtown. 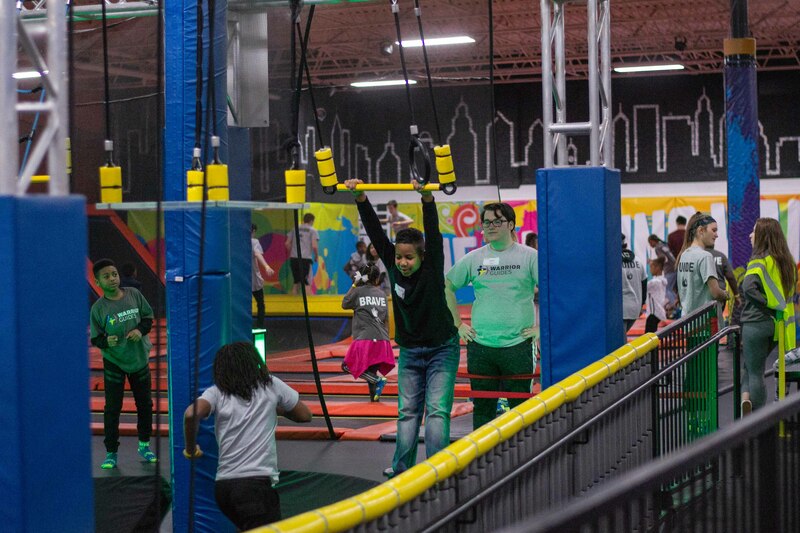 The trampoline park is always a favorite event, it was a great evening to burn off energy inside away from the cold temperatures outside. 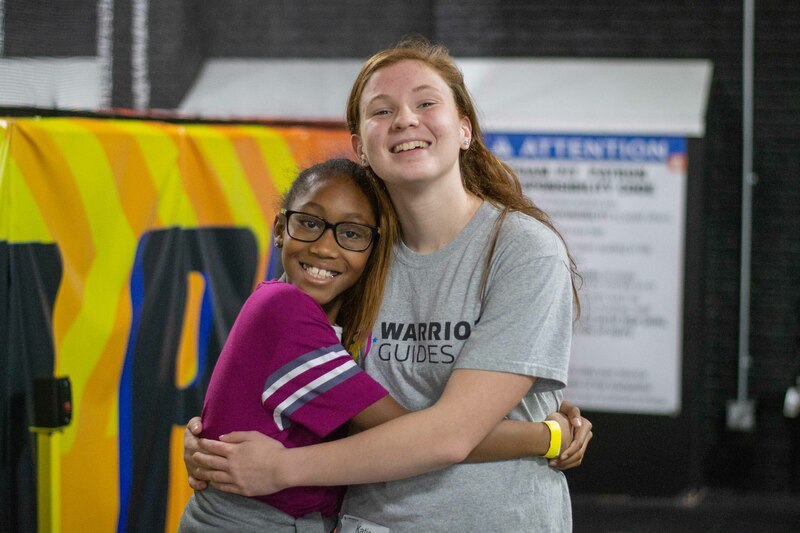 The Braves were bused in from Chester and had their Guides waiting for them at the park when they arrived. 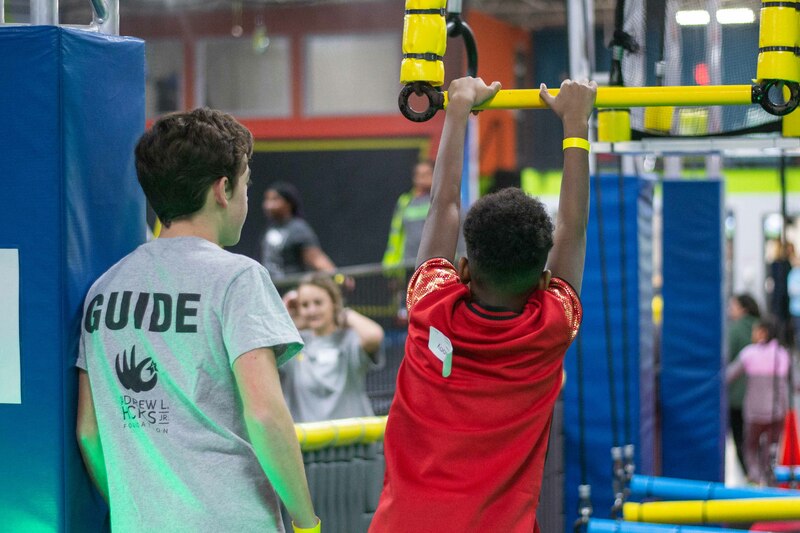 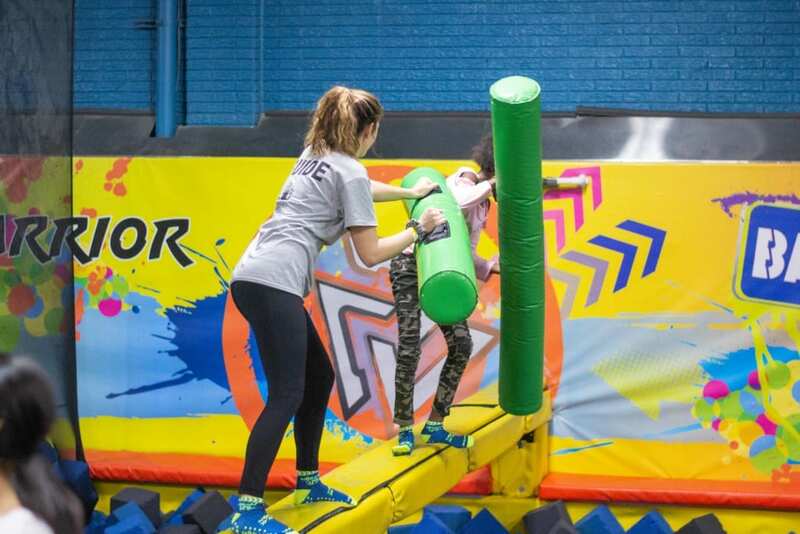 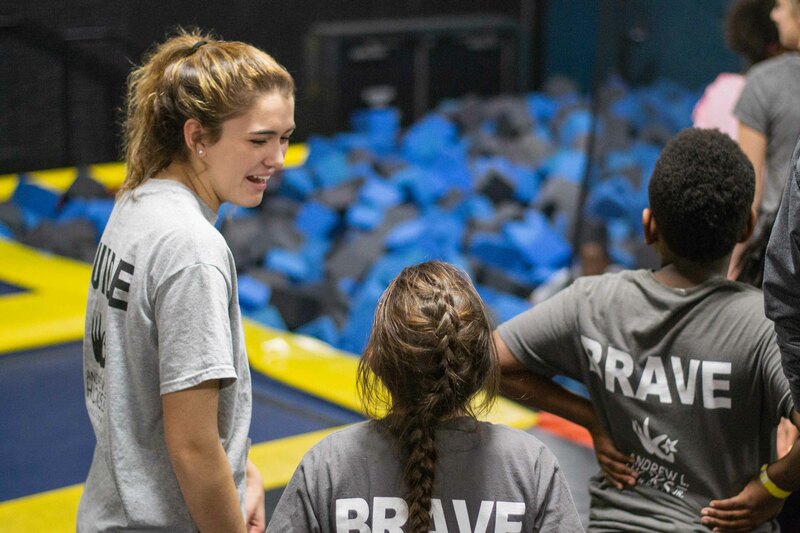 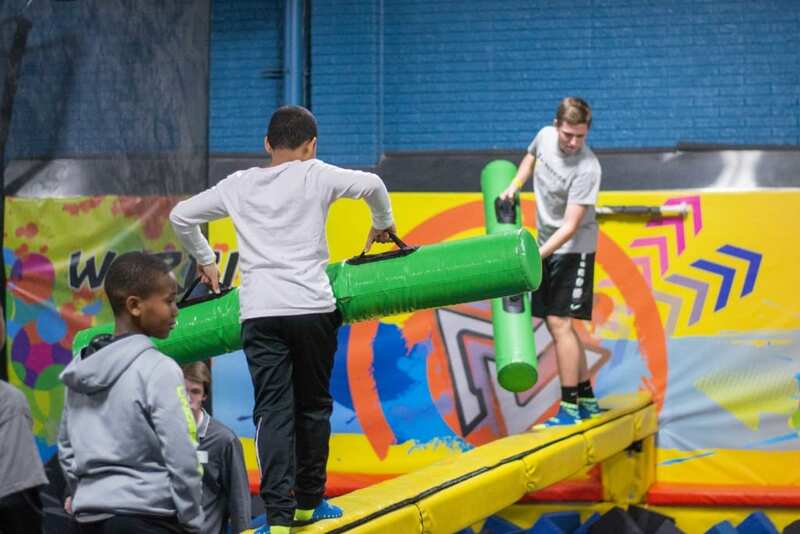 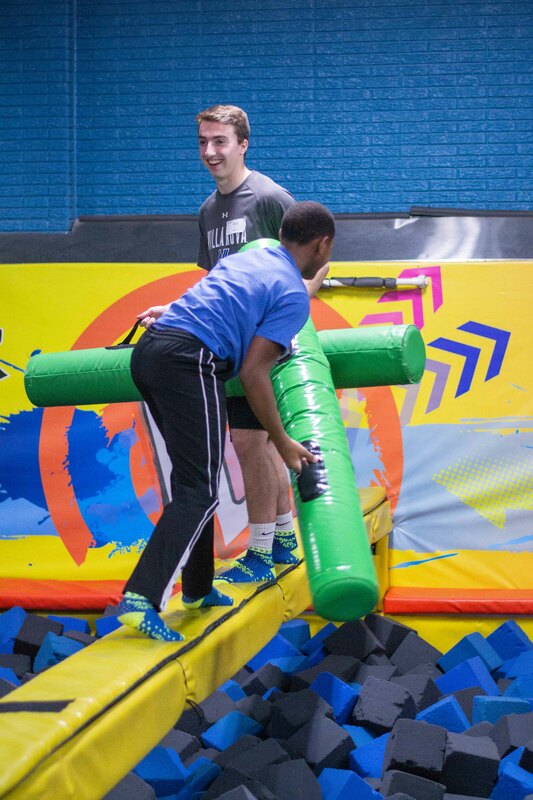 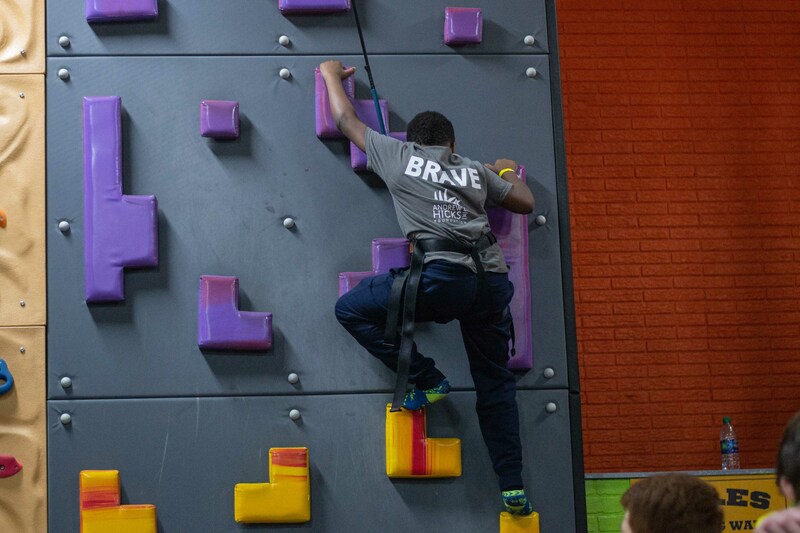 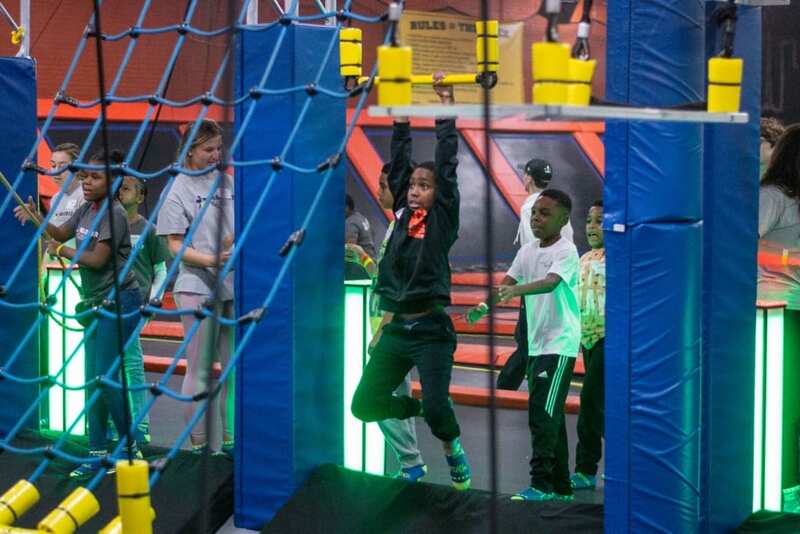 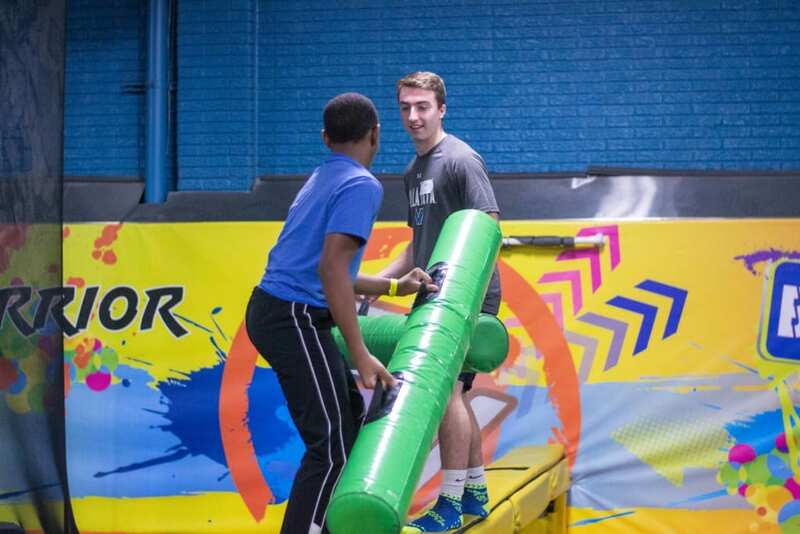 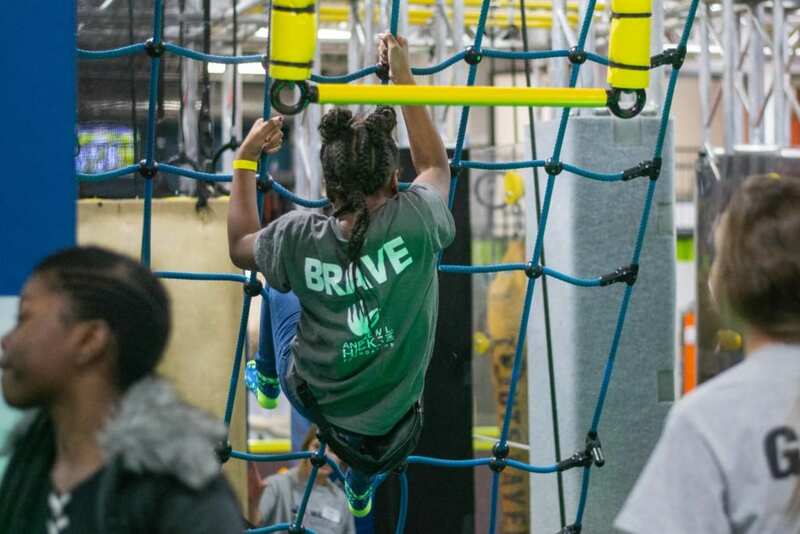 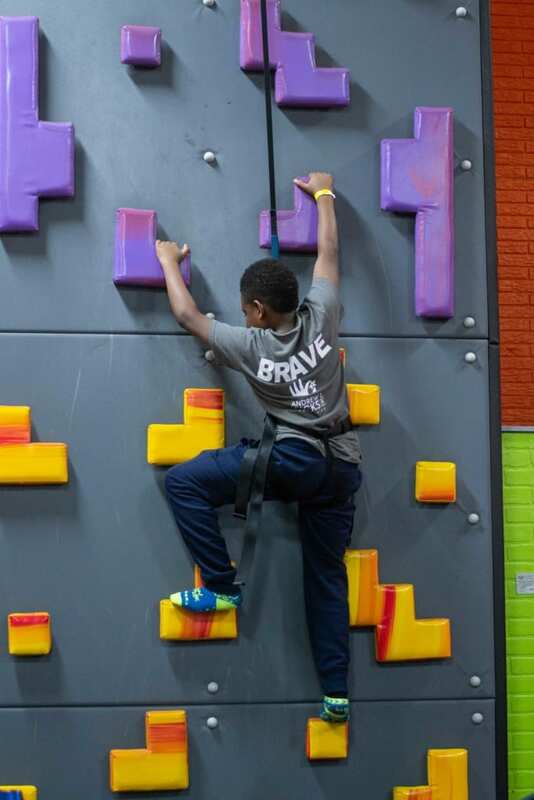 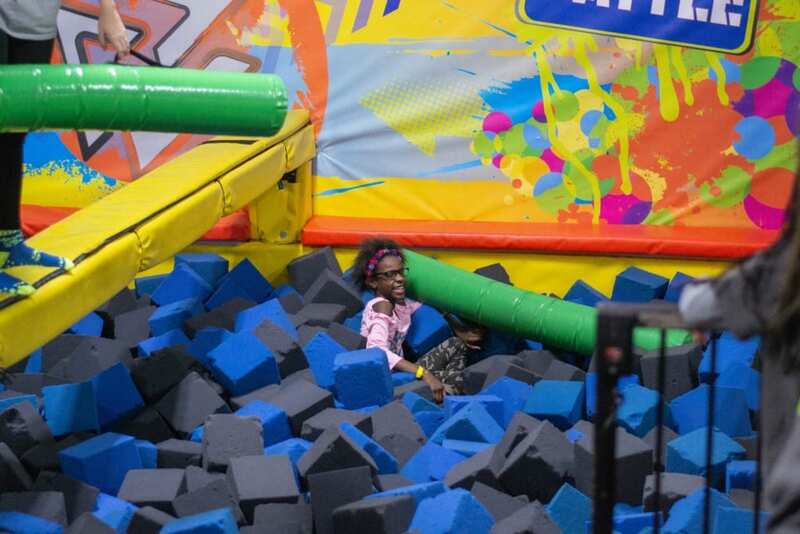 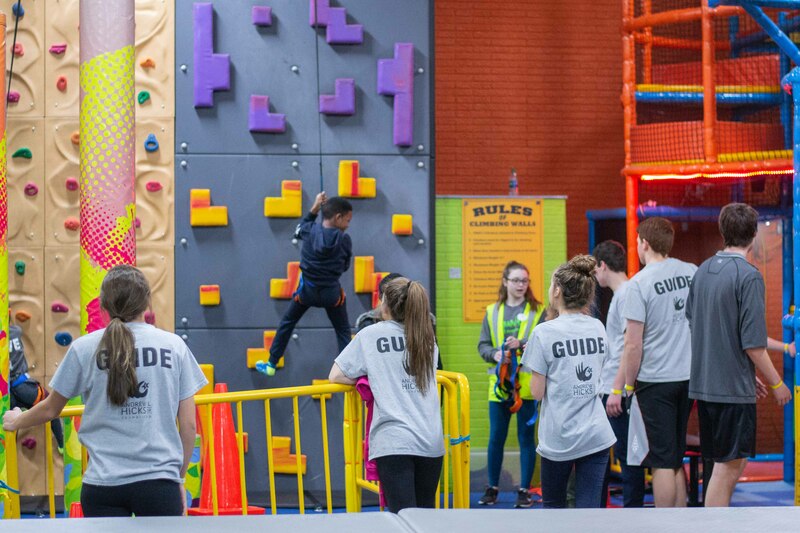 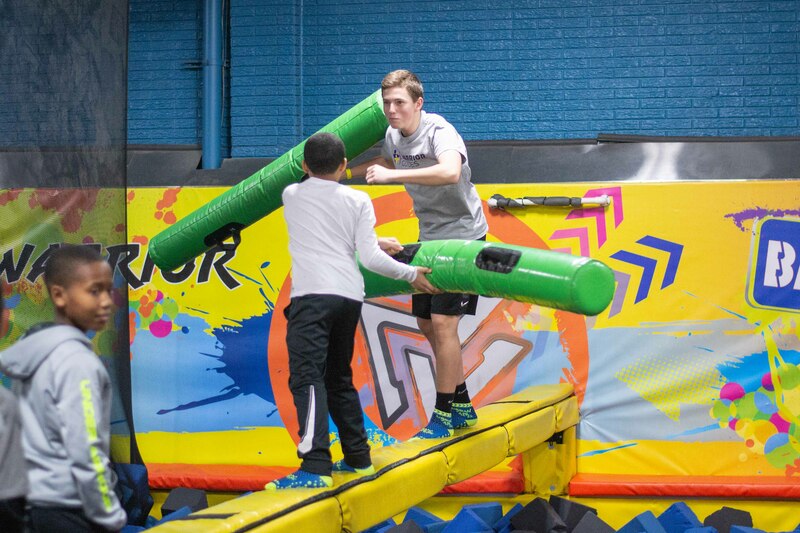 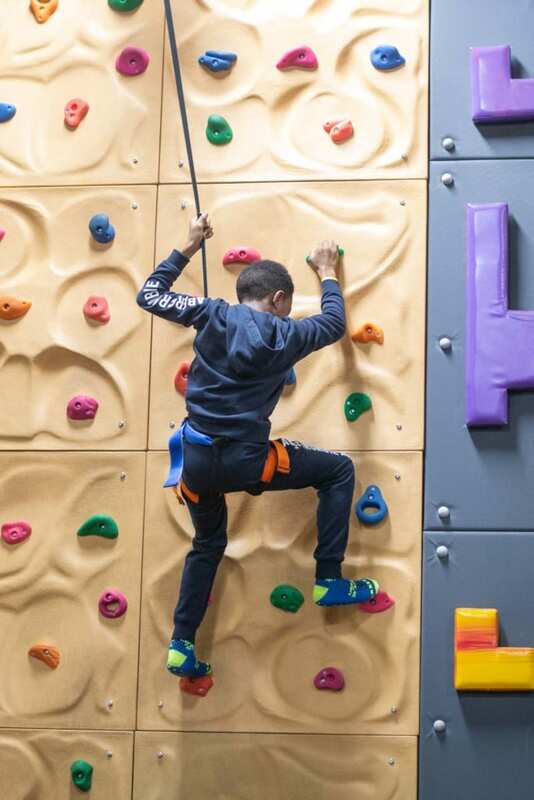 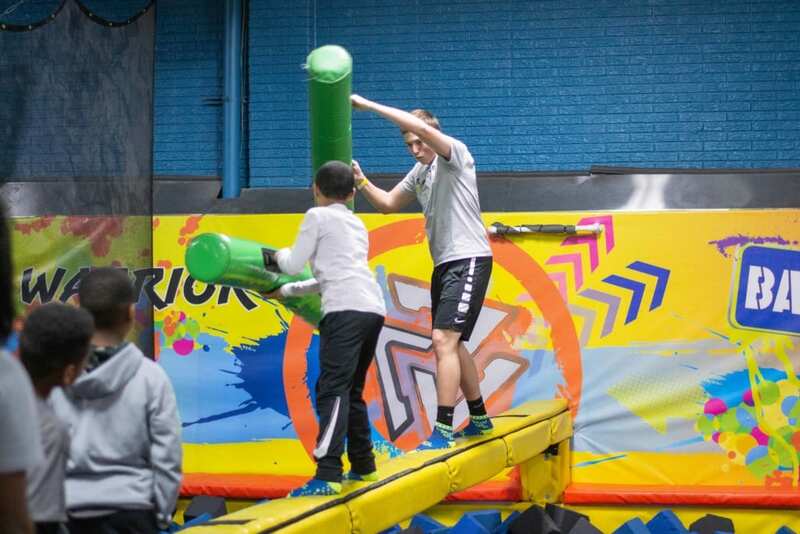 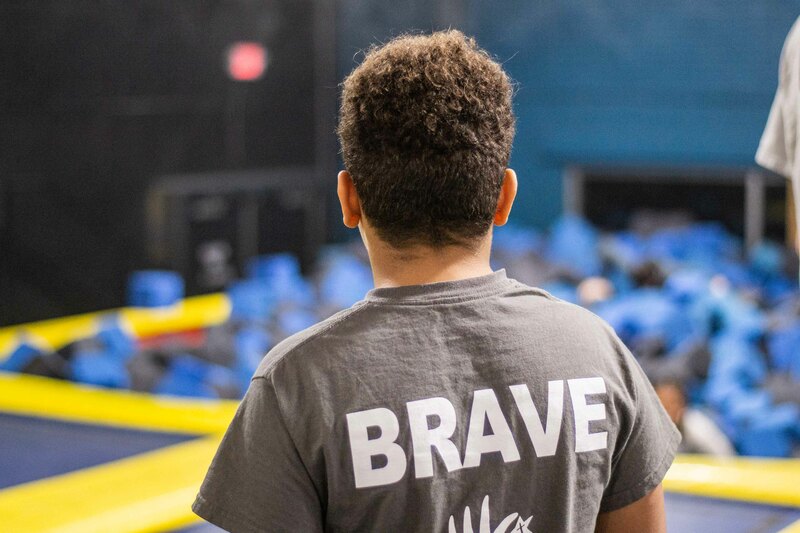 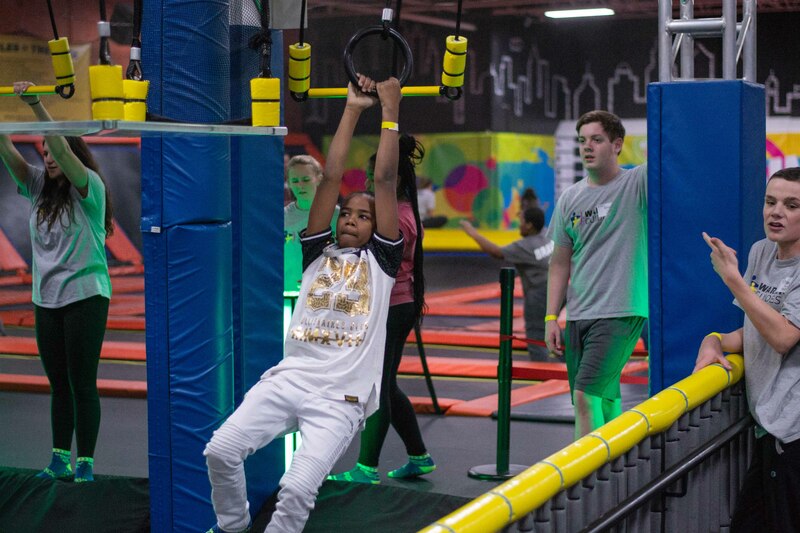 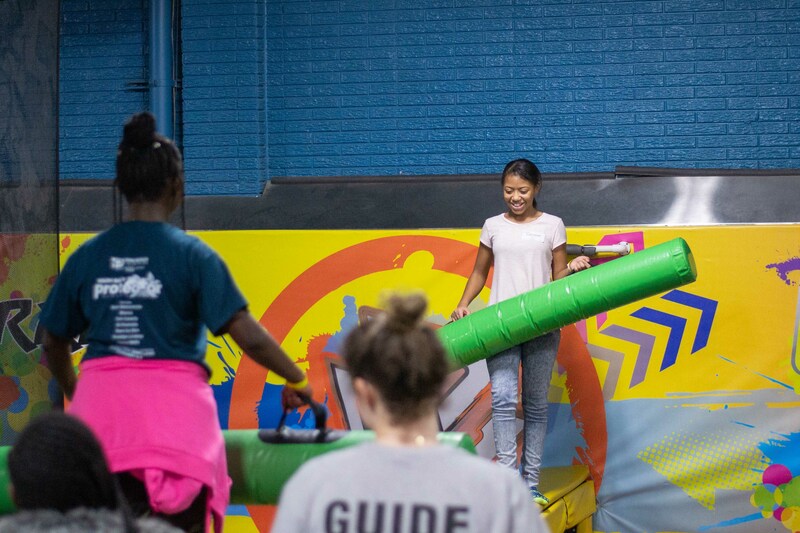 Everyone immediately went running to jump on the trampolines, take part in the appropriately named “Warrior Obstacle Course”, joust on the “battle beam”, climb on the brand new climbing walls, or partake in a slam dunk contest on the basketball hoop. 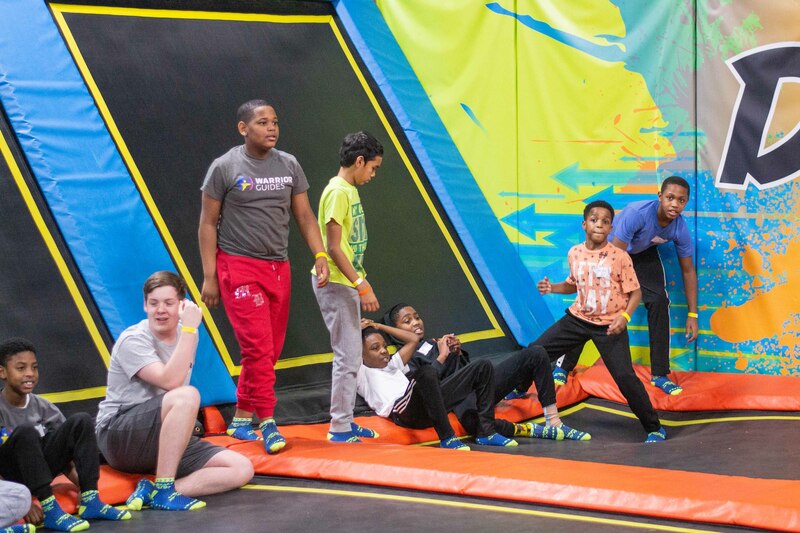 Urban Air has a little bit of everything for everyone young and old. 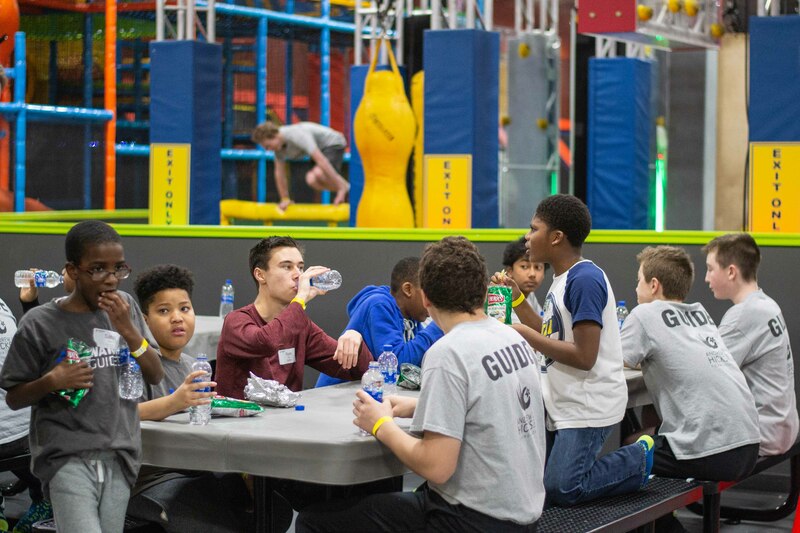 After a few hours of jumping, the group had worked up quite the appetite. 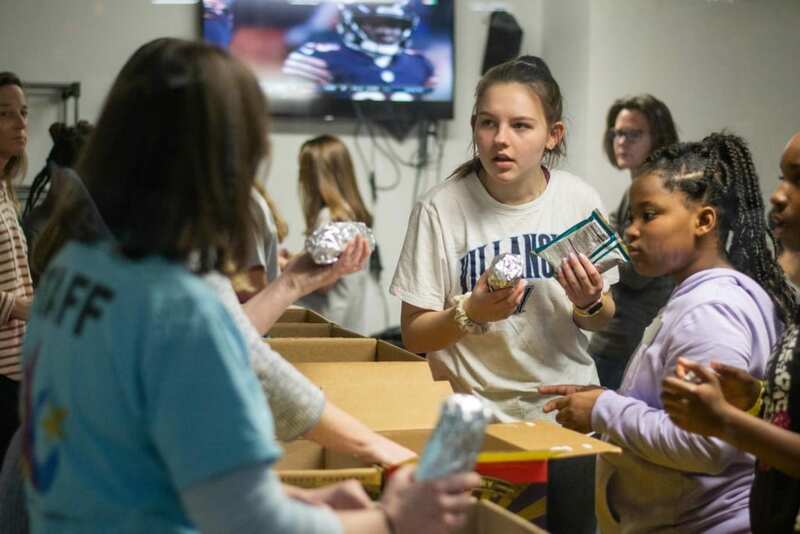 Luckily the nights dinner were amazing cheesesteaks and chicken cheesesteaks from Lione’s Pizza. 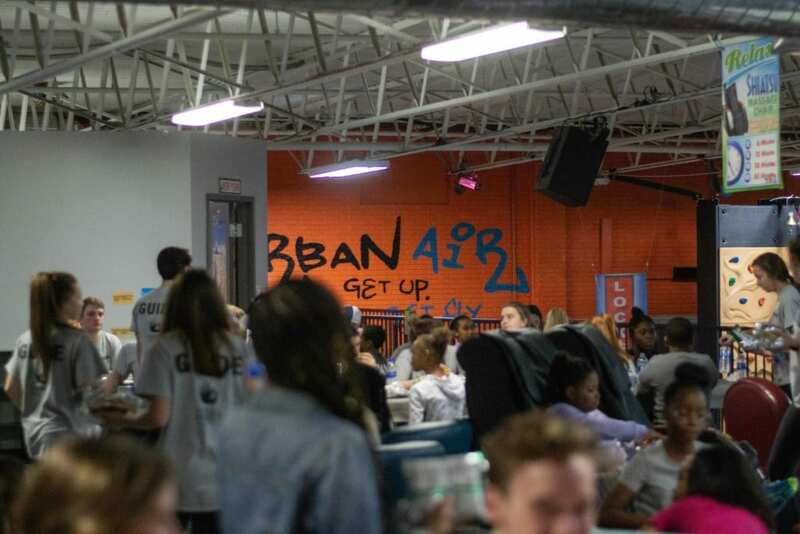 And the Guides and Brave even got to enjoy their meals up in Urban Air’s lounge filled with great seating and televisions. 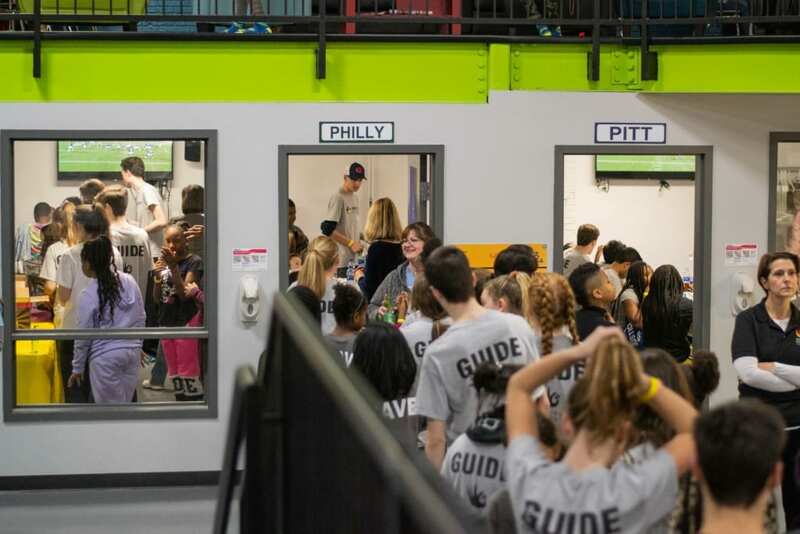 Appropriately while enjoying their cheesesteaks, the group cheered on the Eagles in their nail biting playoff win against the Bears! 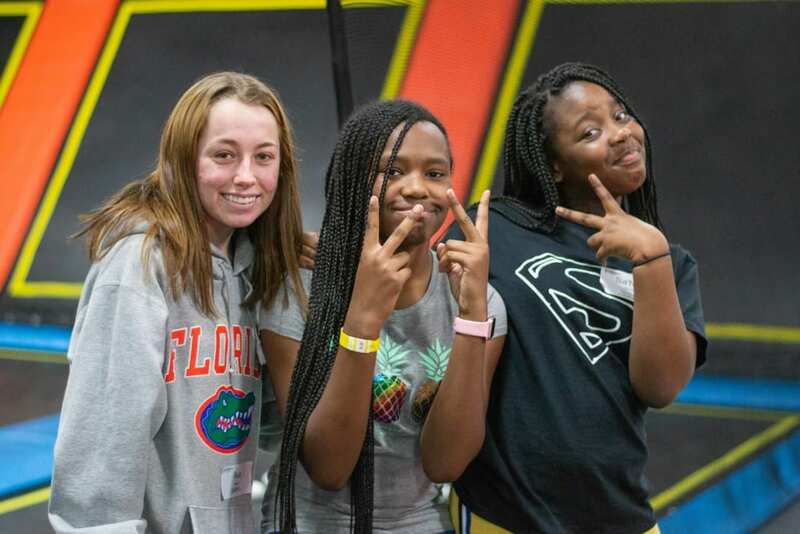 Following dinner the group enjoyed the adventure park for a little while longer before enjoying dessert and saying their goodbyes until they meet up again next month. 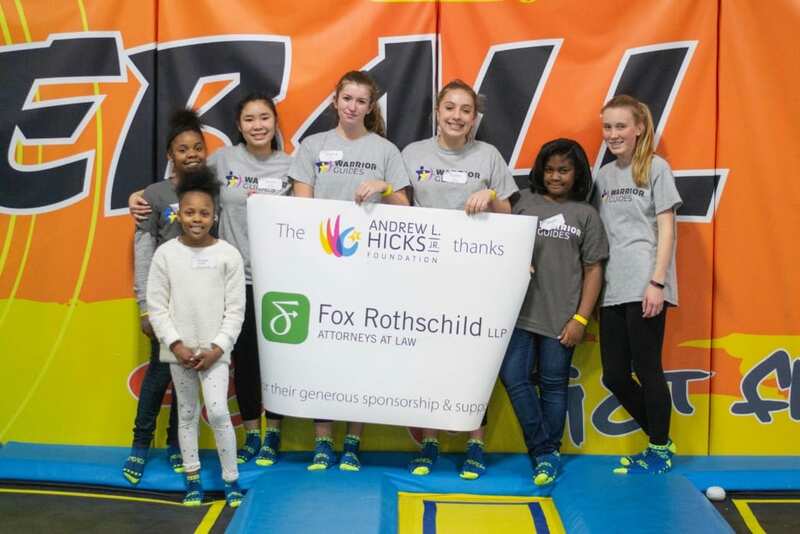 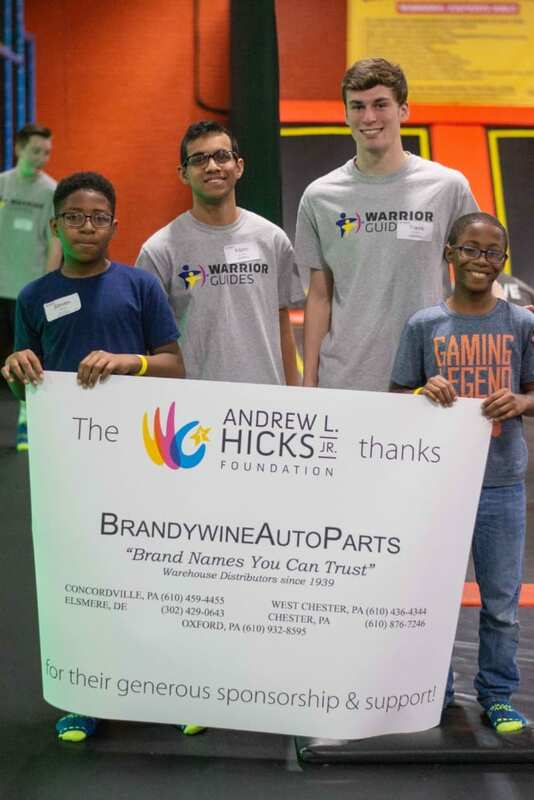 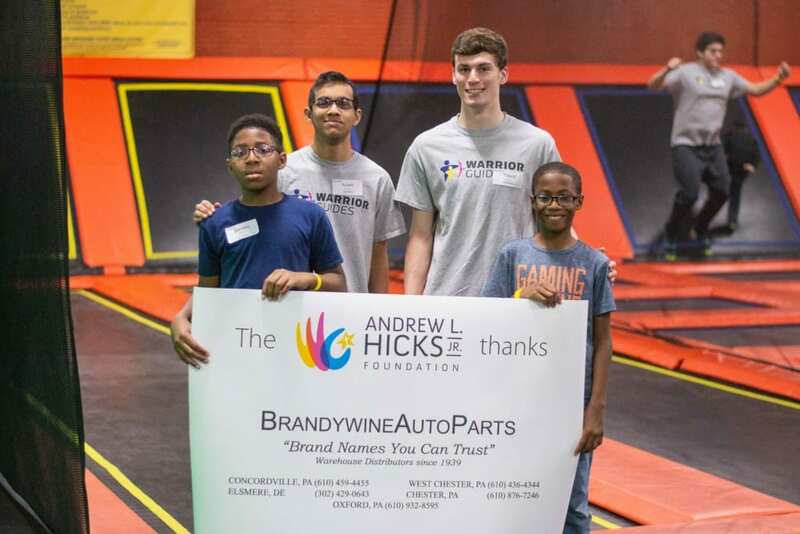 A special thank you goes to our gracious sponsors Fox Rothschild and Brandywine Auto Parts.